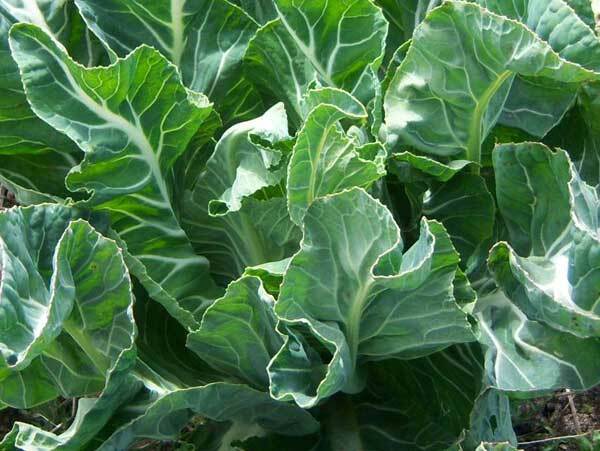 Green vegetables are a good source of vitamins and fibre. We should try and eat five portions of fruit and vegetables every day to keep us healthy. Potato does not count towards the five. Making green vegetables taste good is easier than you think. Always eat them fresh, as soon after they are picked as you can. Try eating them raw or just lightly cooked to keep their natural crunch. Cauliflower, leeks and Brussels sprouts go well with cheese sauce. Cauliflower is delicious mashed with a little cream and grated nutmeg. Brussels sprouts mixed with chopped leeks and bacon or finely shredded leeks stir fried in a little rapeseed oil are tasty alternatives. 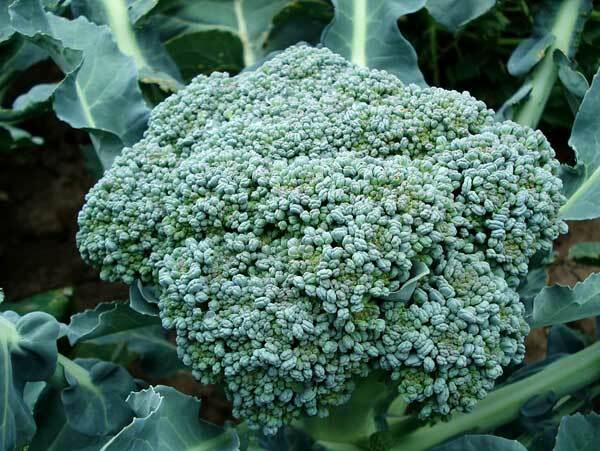 Farmers in Cornwall grow acres of cauliflower, cabbage, calabrese (broccoli) and spring greens. When they are in season, you can buy freshly cut vegetables from roadside stalls. There is a large quantity of meat on a beef carcass and the different parts, or cuts, need to be cooked in different ways. The hindquarter produces the naturally tender cuts of meat, such as rump and sirloin. These may be sliced into steaks and cooked quickly on a grill or barbecue, or cut in bigger pieces and used for roasting joints. 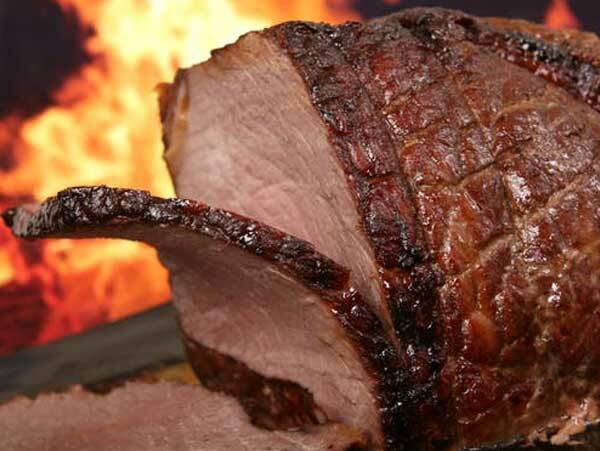 Topside is another popular hindquarter joint for roasting. The meat from the forequarter, or front end of the carcass, requires slower cooking to make it tender; that is, it needs to be cooked for a longer time at a lower temperature. 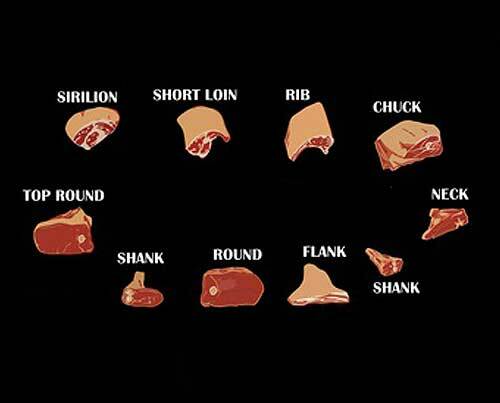 Cuts from the forequarter, like chuck and shin, are used to make casseroles or stews. 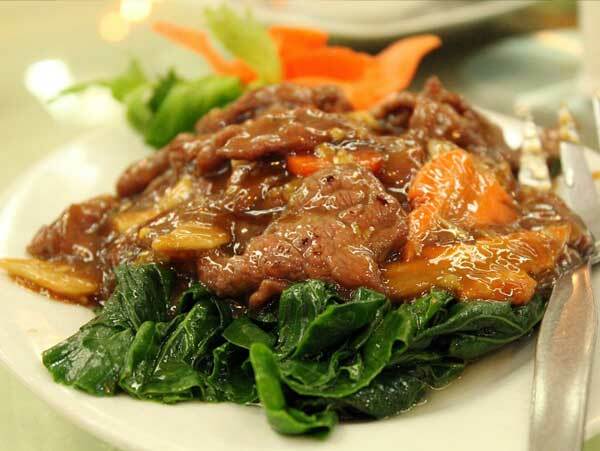 Red meat like beef can be a good source of iron in our diet. Iron is an essential mineral for our health. It helps make the red blood cells which carry oxygen around the body. Do you know where these cuts of beef come from? 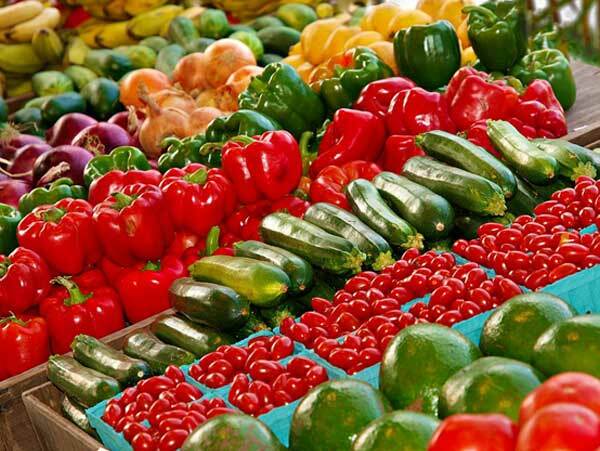 Vegetables and fruit grow and ripen naturally when provided with the growing conditions they need. As well as water and nutrients, they need the right amount of light and warmth. 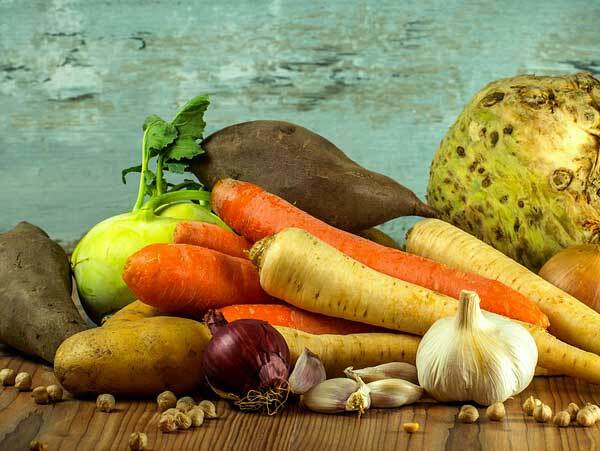 Buying fruit and vegetables when they are in season means we can eat them at the particular time of year when they have ripened naturally and taste their best. In summer, the long hours of warm Cornish sunshine ripen the strawberries and raspberries, and a delicious variety of locally grown vegetables come on to the market. 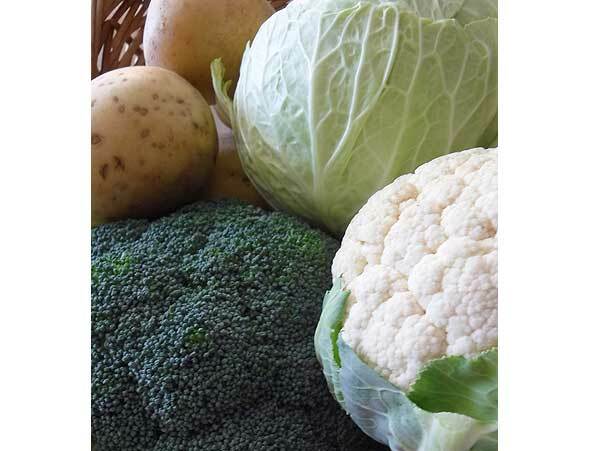 In winter cauliflower, cabbage and broccoli are harvested on Cornish farms and in plentiful supply. These days you can buy any type of vegetable or fruit in the supermarket all year round. Much of it has been grown in other parts of the world and it is not always easy to know what is in season locally. 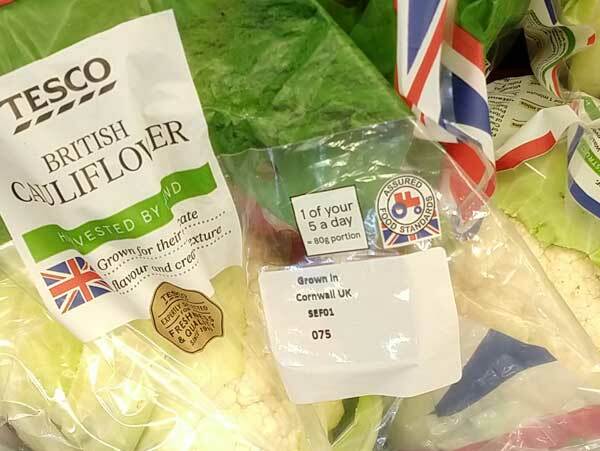 You need to look on the label for the country of origin. When we talk about eating produce in season, we are particularly thinking of fruit and vegetables. Locally produced beef, pork and poultry are available all the year round. You can buy the new season’s local lamb in the spring and summer.